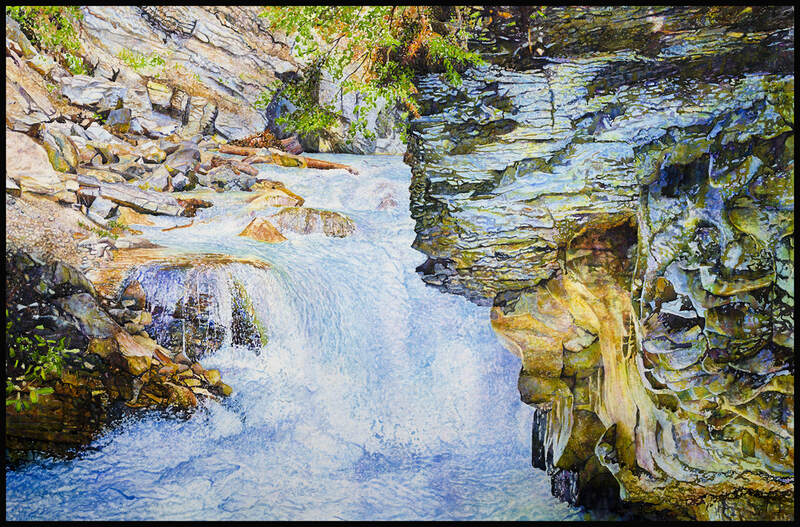 ​The painting featured on this page is my most recent piece and is from a series dedicated to mountain streams and glaciers. It shows a view of that I photographed while hiking along Johnston Canyon in Alberta Canada. The painting is mounted watercolor on canvas, and measures 32" x 48".